Regan will be awarding a copy of three (3) of her books, Racing with the Wind, The Holly and the Thistle and The Shamrock and the Rose to one randomly drawn commenter during the tour. Click on the banner above to follow the tour and increase your chances of winning. 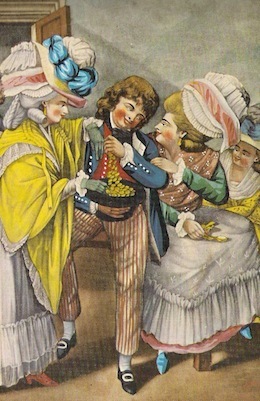 Your new novella, The Twelfth Night Wager, begins as two men in White’s, one of the men’s clubs in Regency England, are discussing marriage (“the leg shackled state”). Then one of them challenges the other to a wager, that he must seduce, bed and leave a certain unnamed lady (and she is a lady) by Twelfth Night, or January 5th. I found this intriguing…how did you conceive of this? Well, in my research about the lives of men and women during that period in England’s history (from 1811-1820) when the Prince Regent reigned, I discovered they loved to wager. About almost anything. And in some clubs, such as White’s (a very old club) they kept a book where the wagers were entered. Such occurred the evening my story begins: two men drinking at White’s and one, a bit bored, agrees to an outrageous wager. He’s a rake after all, known for his conquests. How difficult could it be to seduce one widow? 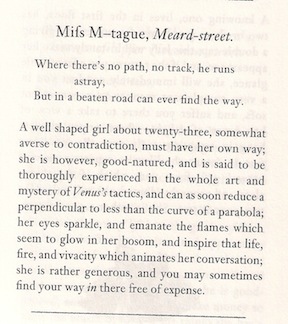 Seemed like an interesting beginning to me, and apparently it did to Christopher St. Ives, Viscount Eustace, too. Is this your first holiday themed story? No, actually I have three—all set in the same year, 1818. First is The Shamrock & The Rose, a short story that takes place around Valentine’s and St. Patrick’s Day (with an Irish hero). 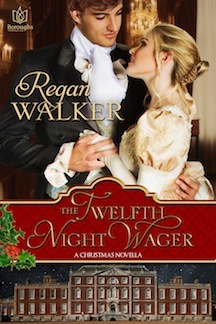 Then there’s the novella, The Twelfth Night Wager, that begins in October and extends through the New Year, capturing the fall season of house parties, fox hunting, pheasant shooting, Christmas and, of course, Twelfth Night. And on the tale of that comes The Holly & The Thistle, a short story that features Lady Emily Picton, introduced in the novella, and a Scot hero. All three have as a character Muriel, the Dowager Countess of Claremont, an infamous matchmaker. Having finished the third in my Agents of the Crown trilogy, Wind Raven (which should be released early spring), I turned back to a project I started a few years ago, a medieval titled The Red Wolf’s Prize. It’s set in England just after William the Conqueror claimed the land for his own. I’m about mid way through the novel and deep into a siege scene at the moment when William faced the rebellious English at Exeter in 1068. Researching is a love of mine but going all the way back to the 11th century is a huge challenge, I must say. I have a blog for lovers of historical romance, Regan’s Romance Reviews, and January is Viking month. So, I’m deep into some Viking romances that I’ll be reviewing for an update of my Best Viking Romances list. I love a good Viking raid, don’t you? All those handsome, conquering hunks towering over the fair maidens. Ah yes…at least in fiction it can end happily, no? It would be the classic romance authors I still read and re-read today. All have been featured on my blog. Their books (along with those of some newer authors) can be found on my “best lists.” But my short list would be Penelope Williamson, Elizabeth Stuart, Jan Cox Speas, Virginia Henley, Shirlee Busbee, Heather Graham (aka Shannon Drake), Meagan McKinney, Kathleen Woodiwiss and Marsha Canham to name a few. They tell sweeping sagas based on solid research for a great love story. And they are the ones I want my work to be like. I want to sweep the reader away and I want her to feel like she knows the characters, like she’s traveled with them. And, in the end, I want the reader to enjoy the happily ever after. I’m thinking Istanbul. It has a fascinating history and I can so see a romance set there. And though I’ve been to 40 countries, including Turkey (more than once), I’ve never been to Istanbul. I would love it. Yet I must add that after I finish my medieval, I’m going to write the prequel to my trilogy, To Tame the Wind, and that novel begins in France in the late 18th century. So, while I’ve been to Paris, a trip to northern France would not go amiss. It would have to be Facebook. I love the pictures, the conversations I strike up with my Facebook friends and the general sharing we indulge in. It’s the way I connect with readers most of the time, though some contact me via my blog, too. I spend at least an hour each day on FB and love it when my friends tell me my posts meant much to them or a particular picture I posted inspired them. I love to get new friends, too, so I encourage your followers to find me on Facebook (see below). Soon he was escorted into the gilded green dining room and to his place. The other guests had already been seated. Across from him sat Alvanley and Lady Ormond, and on either side of him a lady new to him. Neither, he reflected sadly, was the beautiful blonde who occupied his thoughts. Perhaps it was just as well she was not so close. His fervent interest in the lady might be too apparent, which would not do. Lord Ormond, seeing the direction of Christopher’s gaze, raised an eyebrow. Christopher forced a smile and dipped his head in greeting, just as Lady Ormond sitting across from him drew his attention. Introducing himself briefly to the two brunettes on either side of him, Christopher attempted to keep the conversation moving along through dinner. One was the daughter of a fellow Whig and companion of the other, who was young and apparently unattached by the way she was flirting with him. Carrying on with many women while desiring only one was proving to be exhausting. Generally he took women on one at a time. Not so this game. He was forced to at least appear to pursue several at once. Their looks are described: “of a middle size, black eyes, plump made and her skin good” or another with “fine blue eyes that are delicious”. We are told about good teeth and “sweet breath”, in a day where these were rare. We hear about “yielding limbs, though beautiful when together, are still more ravishing when separated”. One or two guineas appears the norm, with here and there a more expensive luxury on offer. The genteel Miss Le- above, who was led into sin, is only seventeen and “has a piece of the termagant about her”, but she commands three or four guineas for her services, which include birching for those so inclined. 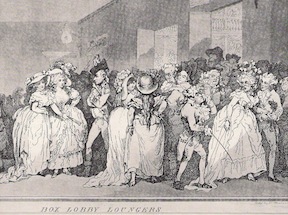 While Miss – of Wardour Street, who is “but newly arrived” and “darts such irresistible glances as can scarcely fail to engage the hearts of the beholders” will not accept less than five guineas. Mrs Ho-fey, on the other hand, who “calls forth all her powers to give delight with uncommon success” will happily settle for half a guinea. 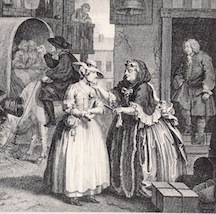 It’s tempting to withhold sympathy for our Covent-Garden ladies when you convert their earnings to the present day. In today’s money, a guinea is worth around £60. A lady’s maid was paid less than that in a year, and no doubt worked a lot harder. While Miss Le- with her five guineas was getting buying power to the tune of our £300 every time she lay flat on her back! Besides marriage or prostitution, was there any other way out for the fallen woman? If they were lucky, or had kind and generous relatives, there was hope. Transported to another place, perhaps with an allowance, they could start a new life under an assumed name – but with the shadow of the past always ready to catch up with them. As for the luscious Covent-Garden Ladies, who had the gumption to use the only means they had of making a decent living – good for you, ladies! On discovering she is the illegitimate daughter of a peer of the realm, Lucy Graydene, bereft and grieving, sets out to confront Lord Pennington with the result of his misdeeds. She finds instead his autocratic heir, Stefan Ankerville, and is dragged willy-nilly into the new earl’s unconventional family. Lucy is driven to battle for her independence while she struggles against the venom of the half-sister she never knew she had. When the secrets of Lucy’s past begin to unravel, she is reluctantly obliged to rely on Stefan’s help. 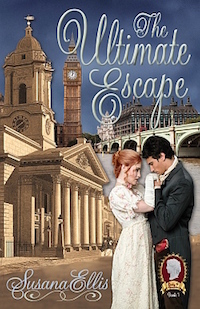 Can Lucy overcome a dangerous attraction to the earl, with whom an alliance is impossible? Or is there a faint hope of happiness in the hidden truth of her origins? The hubbub of a busy inn penetrated dimly into the quiet of the upstairs parlour. It was a small apartment, designed for privacy rather than comfort, and furnished with the minimum of necessities. A chill hung in the January air, little eased by the meagre warmth from a fire in the grate, but the solitary occupant of the room appeared unaffected by this circumstance, although her aspect was far from relaxed. She was seated on one of the straight high-backed chairs placed about the heavy oaken table at which travellers were encouraged to partake of refreshments, but she had not thought to move it nearer to the hearth. Nor was there any sign that she had availed herself of the innkeeper’s offerings to assuage either hunger or thirst. She was clad in a plain black greatcoat, and a simple black bonnet, unadorned, concealed her hair and a good deal of her face. She sat perfectly upright and still, except for her gloved hands, which she repeatedly clasped and unclasped where they lay in her lap. From time to time, her eyes flickered to the door, as if in the expectation of its opening at any moment. And once she cast a frowning glance at the case clock on the mantel, which was dragging its way about the eleventh hour, its steady ticking pulling her out of her unquiet thoughts. She scarcely knew what she was doing here, and the longer she waited for an arrival upon which she could place no real dependence, the stronger grew her anxieties. What had she to hope for, thrusting herself upon the notice of Lord Pennington? The man who had repudiated her three and twenty years ago was unlikely to greet her sudden appearance with complaisance. Nor could she imagine the intervening years had changed one hard-hearted enough to reject all responsibility for the consequences of his libertine conduct. Despite his cloth, Papa’s dictum, frequently uttered, had been that a leopard never changes his spots. The remembrance caught at her heartstrings, turning a knife in the wound. Papa—so she must always think of him. She churned again with the futile yearnings that had plagued her from the instant of his uttering the fateful confession. If only he had not chosen to reveal the horrid truth of her origins. If only he had been spared the necessity. If only the Almighty had spared him. And most painful of all, if only Lucy had been more alert to his weakness after the dreadful downpour. It had caught him on a visit to Mrs Mimms—one of the poorest of Papa’s parishioners, her cottage situated a good five miles from Upledon vicarage with no vestige of shelter between. The dread picture of his return, his clothes dripping, his horse streaming in the deluge, had haunted Lucy from the onset of his short and fatal illness. But Lucy was incapable of trusting to the will of a deity who could deprive her at one stroke of her sole source of loving comfort and the entirety of her life’s belief. Oh, Papa, if only you had not told me! Except that if he had not, he would not have been the man she had known and cared for as her father: compassionate, patient, and the exemplar of “the milk of human kindness” demanded by his calling. Else he could not have taken to his heart and raised as his own the child of dubious parentage Lucy now knew herself to be. Caught in the turmoil of her unhappy thoughts, the opening of the door took Lucy unawares. She jumped, her eyes flying to the aperture where a man stood revealed. She took in a tall frame enveloped in the grey of a many-caped greatcoat, one slender hand holding to the door handle. From under a dark beaver hat, a steel gaze pierced her in a countenance considerably younger than Lucy had anticipated. Startled, she shot out of her chair, starting forward a step or two, a riot of question leaping to her tongue. The gentleman made no move to vacate the room, but the disconcerting violence of his regard lessened a trifle. 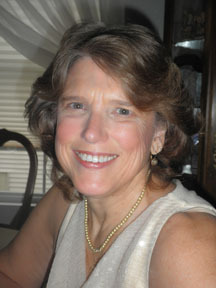 Elizabeth Bailey grew up in Africa with unconventional parents, where she loved reading and drama. On returning to England, she developed her career in acting, theatre directing and finally writing. 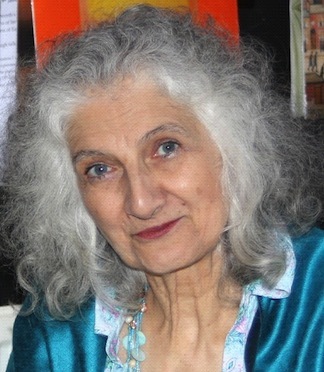 Elizabeth has 18 novels published by Harlequin Mills & Boon and recently began a Georgian historical crime series of which the first two books were published by Berkley (Penguin US). 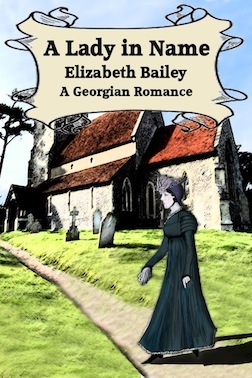 But since she still loves romance, Elizabeth is delighted with the opportunity to publish her work independently. 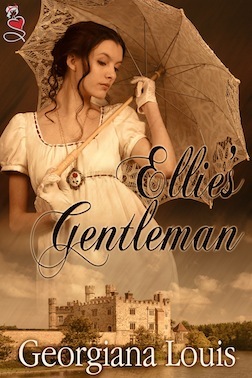 My guest today is Georgiana Louis, author of Ellie’s Gentleman. Georgiana is offering a digital copy of Julia Quinn’s The Bridgertons’ Happily Ever After to the person with the most original comment. Welcome to Susana’s Parlour, Fiona, and thanks for consenting to be interviewed! To be honest it depends on the book. For Ellie’s Gentleman it was the characters. I saw Ellie in her carriage, riding home after another failed Season in London. I could just feel her relief to be out of the city and then just wrote. She literally falls over Robert in the next scene and it just unwound like that. A total pantser. I often write for submission calls, as this one was. 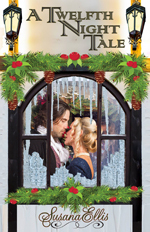 A publisher asked for sweet stories in the Regency era, with a Christmas theme and 12-25,000 words. So I thought, “I can do that.” Started writing and ended up somewhere in the middle. What author or authors have influenced you? Sabrina Jeffries was the first author I read from the Regency period. Her book To Pleasure a Prince lured me away from the Mills and Boon books I was reading and I never looked back. I love her style, also Eloisa James, Julia Quinn. Diana Gabaldon’s style of invoking the senses and using both first and third person has been interesting to read and learn from too. Do you ever suffer from writers block and if so, what do you do about it? I do on occasion, with Ellie’s Gentleman especially. It was my first true sweet book where you can’t use physical contact to move the story along. It was much harder than I ever thought it would be. I just put it down and wrote another story. Then I’d pick it up again and get stuck. I asked my beta readers and critique partners for help and even asked my husband for plot ideas. I love to write and do so every single day. So if one story isn’t working I start another and write till I’m stuck or tired again. “Oh Father! Whatever have you done?” Ellie raced along the hall to her father’s side. Her father merely laughed and growled at her. Her father just grumbled and after struggling free, hopped to a chair. Ellie heard her father’s suggestion and smiled. He had always been proud that she could play chess as well as any of his friends. Ellie blushed and turned. Why was she not able to control her face better around this man? Ellie hid her smile as she sat down into the chair and Robert sat opposite her. She moved her first piece and watched his clever eyes begin to make many moves ahead. A real chess player. A ghost of a smile flitted across Robert’s lovely wide mouth before he moved his piece and looked up. Robert’s grey eyes lit up at the mention of the stallion. He appreciated a beautiful horse just as she did. Ellie giggled at his tone and moved another piece. Robert frowned but moved his piece just as quickly. Robert looked at her wide eyes and burst out laughing. Ellie couldn’t help the accompanying laugh that bubbled up from her throat. He had such a wonderfully relaxed way of being. Ellie moved her pawn, captured Robert’s castle and watched him frown once again. His dark eyebrows rose for a moment but he dropped his head and concentrated on their playing. It was a quick, intense game that Ellie won by the skin of her teeth. As she took the black king into her sweating palm, victory filled her. “That was so enjoyable!” she squealed at him. Robert stood up and bowed to her, putting out his hand for the chess piece. Ellie looked at his hand for a moment before she reached out and placed it in his warm palm. Her fingertips grazed the skin of his palm and he gasped before he curled his fingers around the king. With feet that felt like they were floating on a cloud, Ellie ascended the stairs and made her way to her room. Which gown would be best for tonight? Georgiana Louis is a chiropractor, wife and mother in the real world. However, her passion for writing could not be denied. She fell in love with romance novels at the tender age of eleven. Thousands of books have been read, absorbed and enjoyed since then. 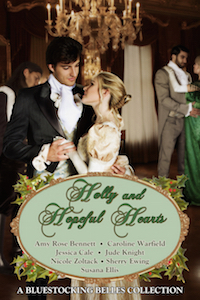 More recently, the wonderful world of Regency romance—dashing heroes and beautiful heroines in an era just beginning to accept love matches. Please join her in the fictional world, where everything ends as it should, happily ever after. A Favorite Scene From Treasuring Theresa! The official excerpt is on http://www.susanaellis.com/pub.html. This scene comes later, however. Enjoy! Don’t forget: the Epilogue to Treasuring Theresa is also available as a bonus read on my web site. Be sure to read the original story first, however. 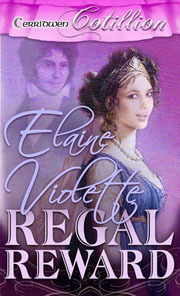 Susana: Today my guest is Elaine Violette, who, like me, writes historicals for Ellora’s Cave. I’m eager to find out what else we have in common. Welcome to Susana’s Parlour, Elaine! I just bought your earlier book, Regal Reward, and pre-ordered the one that comes out next month, A Convenient Pretense. Can’t wait to read them! Susana: First question: What inspired you to start writing? Elaine: Thanks for having me, Susana. I’ll skip over talking about the terrible poetry I wrote about love and loss when I was teenager. Personal struggles drew me to write poetry and my love of romance drew me to read historical romance. After reading maybe my hundredth historical, I thought, I can do this, and so I did. My mom told me often, “You can do anything you put your mind to.” I believe that is true for all of us. Elaine: For new writers, it’s easy to get discouraged. High hopes can be dashed easily with the first rejection. The best way to prepare for the ups and downs is to maintain confidence in yourself as a writer, accept criticism graciously and continue to study the craft, while remaining true to your inner voice. Writing a novel takes time and patience, one page at a time, and often it takes years to finish that first novel. My first historical romance, Regal Reward, published in ebook and print, tells the story of York Blackstone’s quest to retaliate against the man who framed his father, only to fall in love with the woman engaged to the villain’s son. I was excited and encouraged when it received wonderful reviews. My readers wanted me to continue the story of York’s younger brother. My editor accepted the manuscript immediately and the story of Martin Blackstone and his life out of the shadow of his older brother was prepared for publication, only to be pulled two weeks before publication. I was devastated. I won’t go into the details but for the first time, I could not diverge from my personal integrity as a writer and make changes where I didn’t wholly agree. Instead, I chose to shelve the manuscript. That was the beginning of a downward spiral in my confidence as a writer. I dabbled with story ideas, wrote a couple of short pieces, attended my writing groups but I couldn’t bring myself out of the doldrums. My pity party lasted way too long. I knew in my gut that I was a good writer and had to believe in myself again. 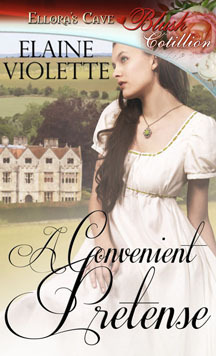 Eventually, I started another historical romance, A Convenient Pretense, which is being released on April 4th as an ebook and is available on Amazon for pre-order, as you just mentioned. Susana: Persistence is the key, isn’t it? A friend of mine once said she was grateful for all the potential writers who gave up too soon, because it cleared the way for her. Sad, but true. Can you tell us a bit about A Convenient Pretense? Emily Hughes has little patience for the frivolity of the season. Marriage brought out only the worst in her parents and if she has her way, she’ll avoid matrimony altogether. 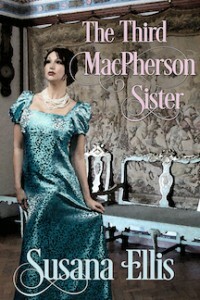 Only the demands of her father are enough to force her to join her aunt in London for the festivities. Marcus Deming, Earl of Pembridge, refuses to love after watching his father succumb to a broken heart. Marcus will marry, but only for the convenience of producing an heir. Love need have no place in a marriage. Emily and Marcus agree to spend the season in each other’s company, fending off the worst of the suitors and their aunts’ schemes. It isn’t until Emily is called home to aid her ailing father that she and Marcus realize their pretense has escalated into something far more intense. So alike, right down to a shared stubborn streak, it’s going to take a common enemy and the ability to admit when they’re wrong for Marcus and Emily to secure the future they suddenly can’t imagine living without. Elaine: I hope my readers enjoy Marcus and Emily’s story. Incidentally, I finally gained the courage to go back to the story that was pulled just before publication. I learned that while it’s important to be open and accept criticism, we also need to own our ideas and respect our muse. The changes I made reflected growth while I maintained my stand in areas I truly believed should not be changed. I recently signed a new contract for that second manuscript, A Kiss of Promise, Martin Blackstone’s story, which will be released later in 2013. For those who haven’t read Regal Reward, they might enjoy being introduced to York Blackstone’s story before Martin’s story is released. Marielle Henley’s betrothal to Richard Craymore has settled her future until her disobedience leads her into the path of a ruggedly handsome highwayman. York Blackstone’s seemingly invulnerable nature, hardened by a life molded in poverty and thievery is tested when he becomes enamored with his beautiful and defiant captive. When she reveals the name of her betrothed, she becomes a pawn in his obsession to destroy the man who falsely accused his father of treason and left his family desolate. York will let nothing or no one, not even his alluring captive stand in his way. 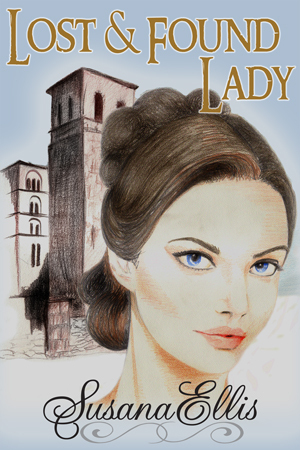 Marielle becomes trapped between loyalties to her betrothed and to her own heart. Susana: Are you a plotter or a punster? Elaine: I admit to being a pantser. As an idea develops, I begin to write. I don’t know who will appear in the story apart from my hero and heroine and, perhaps, a villain. My muse takes over and has not disappointed me. As long as I make the effort to sit down and write, she joins me and the story and characters evolve. Technically, I must keep a record of names, eye color, etc., of my characters, but the story takes on a life of its own. A workshop speaker once said: “Sit down every day and write, even if it’s only one sentence.” I never forgot that slice of wisdom, though I confess I no longer remember the author’s name. I don’t always follow that advice, but I do my best to write or revise as often as possible. Elaine: Absolutely. As I stated above, when I allowed my confidence to diminish, I found it difficult to write even a word. I needed to continue to participate in writers’ groups and, most important, silence the voice that diminished my belief in my abilities. Most commonly, writer’s block happens when my mind is filled with all of life’s interruptions and responsibilities. I find, however, if I begin writing that first sentence, I become slowly freed from outside interferences. I just need to get hooked by my characters’ dilemmas. Susana: Wow, can I identify with that! What are you working on presently? 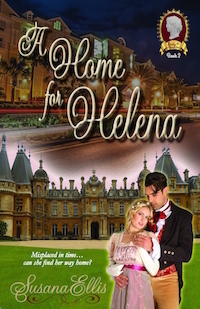 Elaine: My newest manuscript is a departure from Regency romance. 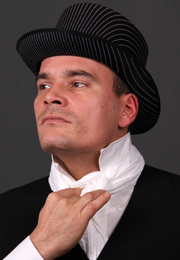 A Kiss of Promise takes place in New England during the 1800s. Racism and intolerance takes a major role in the heroine’s plight as well as a ghostly spirit intent on justice. I look forward to seeing where the story takes me and how my characters develop. Susana: What books or authors have most influenced your own writing? Elaine: I love all of Mary Balogh’s books. She is my idol when it comes to historical romance. I find, however, that reading other genres improves my writing, especially reading novels by male authors like Clive Clussler and Ken Follet. Susana: What a coincidence! I just did a spotlight on Mary Balogh in Susana’s Parlour last week! Tell us about your life apart from being an author. Elaine: Though I will always be an incurable romantic who enjoys weaving stories of heroes and heroines, my most rewarding pastime is spending time with my husband, my children, two sons and a daughter, and my six grandchildren. As a veteran English teacher, I work as an adjunct at a local community college presently teaching public speaking. My favorite time of year is summertime when I get sit by the ocean or get out on my kayak. Before I leave, I want to express my gratitude for my devoted readers. I absolutely love to hear from fans. Please visit me on facebook: https://www.facebook.com/Elaine.Violette.author and say hello. At present, my website, www.elaineviolette.com .is undergoing some updates, but it should be back up soon. My books are (or will be) available on Amazon and Ellora’s Cave Publishing. Thanks for having me drop by today, Susana!